Laminate Flooring King has been in the Flooring Business for over 15 years. Providing you, the Hollywood customer with the best of service, quality and selection! We have a huge variety of Flooring to suit everyone’s need, style and decor. We provide you with a variety of services, including sales, installation and repairs. Flooring is what we do best. We supply everyone from contractors, builders, decorators, designers, landlords, and everyone with the need for Flooring in Hollywood! We sell the flooring, the underlayment, moldings, baseboards, stairnose, everything for your flooring needs. 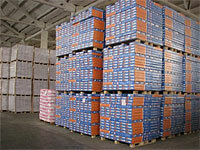 We have everything in Stock in our Flooring Distribution Center located in Hollywood, FL. 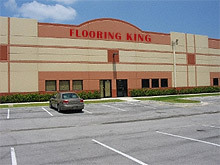 We are the largest Flooring Distributor in the Country, with our Headquarters are located in Southern Hollywood County.